Les soumissions sont ouvertes pour le prix Cobalt blues contemporain. 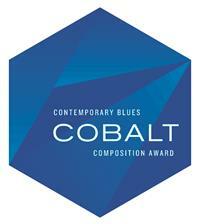 The Toronto Blues Society and JUNO award-winning blues artist Paul Reddick announce details and deadlines for submissions for the fifth annual Cobalt Prize Contemporary Blues Composition Award. Open to Canadian composers, the intention behind the Cobalt Prize is to promote blues music through the exploration of its form. Submissions will be accepted from September 3rd through October 31st, 2018. The winning composition will be judged on its ability to creatively utilize blues traditions within the broad contemporary musical landscape. Particular attention will be paid to aspects of instrumentation, melodic invention, song structure, lyrics, and production possibilities. The successful song will explore and refresh blues as an art form. Priority will be given to songs that have been crafted specifically for the Cobalt Prize, however previously released material may be submitted. Please read the About page to understand the priorities of the Cobalt Prize. “In its fifth year, the Cobalt Prize continues to inspire songwriters to explore and energize the blues art form, and carry its beautiful power forward”, says Reddick. “Blues music remains a powerful source of truth in this crazy mixed up world.” Previous winners of the Cobalt Prize Contemporary Blues Composition Award are Digging Roots, Conor Gains and Ann Vriend and Joel Nolan. Please send your complete application to cobaltprize@gmail.com for consideration by Wednesday, October 31st at 6:00 pm Eastern. A cash prize of $1000 will be presented to the winner at the upcoming Maple Blues Awards, being held at Koerner Hall in Toronto on Monday, February 4, 2019. The second and third place winners will each receive $250.